Vingt Neuf Bowmen is a member of the National Field Archery Association, The Maryland Archery Association, and the USA Archery Association. 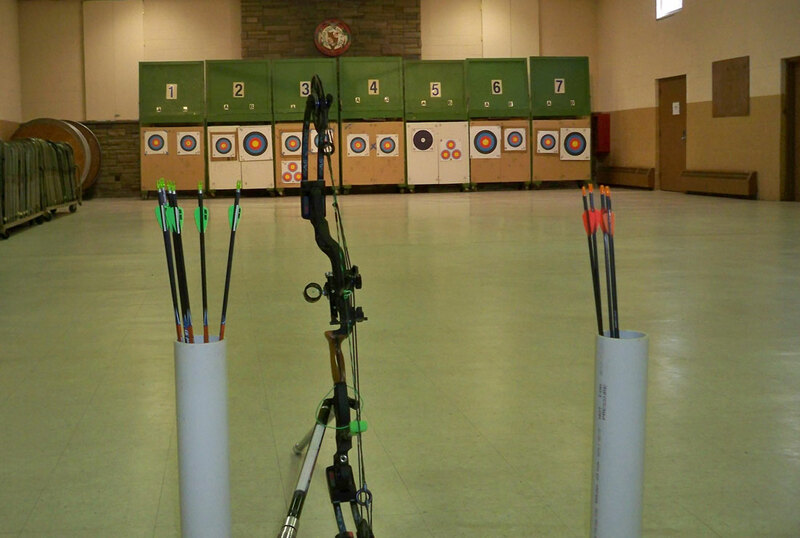 We are the archery club affiliated with Maryland State Game and Fish Protective Association. VNB was started in the 1950’s and has been a continuous member of the NFAA and MAA ever since. 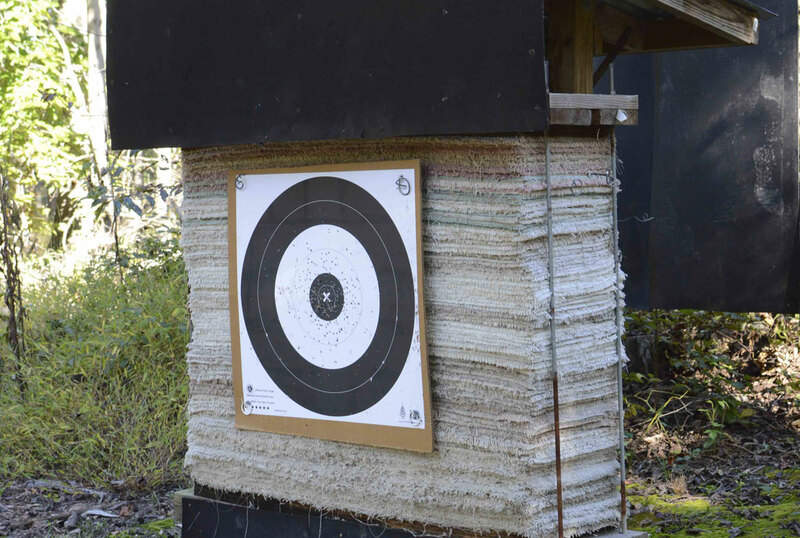 The club property of 25 acres includes a club house with a 20 yard indoor range, a six target outdoor practice range, a fourteen target outdoor field range, and a two target broadhead range. VNB holds both indoor and outdoor shoots throughout the year (please see our calendar of events). All of our target butts are made with used carpet as the medium. The carpet is cut in 16” by 48” pieces and is layered and then compressed with all thread clamps. Both the indoor and outdoor butts have a 48” by 44” shooting area and are 16” thick from front to back. 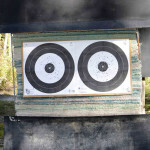 All the indoor targets are backed up with hanging rubber mats. 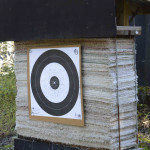 The outdoor targets have rubber protectors both top and bottom to protect errant arrows from becoming embedded in the wooden structure that holds the carpet. 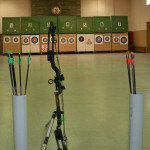 All the outdoor targets have roofs to keep the carpet dry, and each target has a hanging rubber back stop, again to limit the flight of a stray arrow. 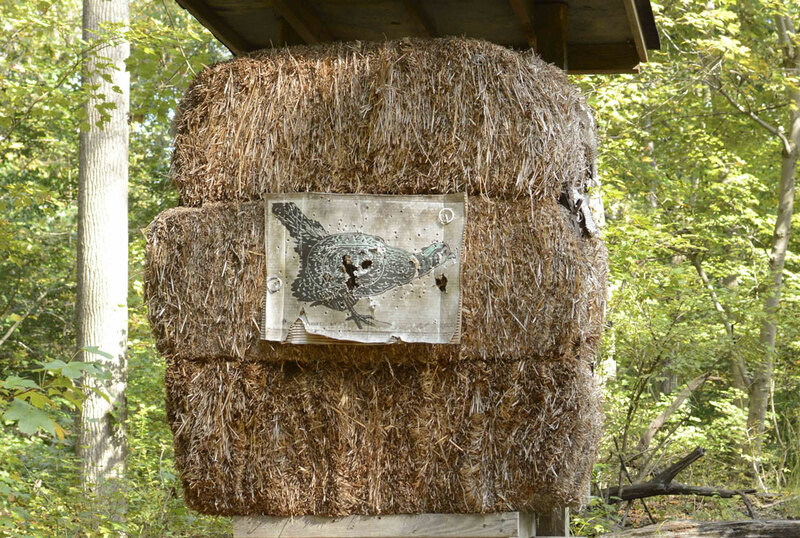 The outdoor broad head practice butts are made of straw and excelsior bales that are banded together. They too have a roof to keep the bales dry. 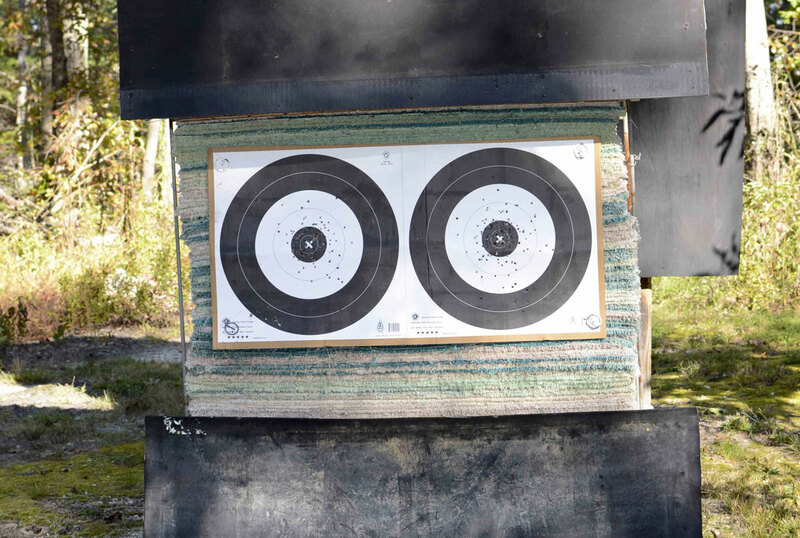 We currently have two broad targets with a maximum range of 45 yards on one and 60 yards on the other. 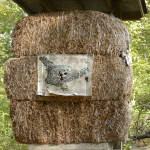 There is an elevated platform (tree stand) to practice shooting from a higher angle down toward the target.